I don’t mean literally, I mean figuratively, metaphorically even. In short, I’ve been a Christian, of sorts, far longer than I have been a churchgoer. Why, you may ask? Indeed, that is if you are asking. Church, and Christianity or religion or faith, seems largely irrelevant to many people’s lives today, certainly in the UK. Our cousins across the ‘Duckpond’, in the United States, the self proclaimed greatest country in the world, seem far more into their faith, and far more Christian in their lifestyle and beliefs than we in the UK are, but on closer examination much of their faith seems fastened to a notion of superiority, or a worship of materialism, especially money. Not all, of course, but some of it seems more money oriented and corporate than over here. Or, does it? I had the great fortune (or was it God’s specific purpose?) to first go to a very good church in Liverpool, and now go to a very good church in Prescot, which is near Liverpool. I was a Christian, more or less, when I was thirteen but it took me thirty three years to get to church. Why? For a number of reasons, I suppose. I don’t come from a Christian background, my family are not Christian at all and basically don’t believe in any of it, the community I grew up in was not religious or Christian, only in a nominal sense, and the decade I grew up in was the 70s, when God was gently being eased out by secular tendencies and growing scientific advances and the afterglow of that much vaunted decade the 60s, where anything went, and pop music and free love would save us, and we would all live happily ever after. But, after the big party, the inevitable hangover. Without God, the best ideals however fondly promoted and however good and cherished they may be, disappear into the ether and vanish to become another part of history. The Hippy ideals and values disappeared, along with their long hair, bell bottoms and kaftans! So, where was I? Oh yes, I also come from a relatively poor and most definitely working class background too. Whether that has any relevance to my little tale, time will tell, but I think it does. England, and perhaps the British Isles as a whole, seems to be far less Christian than it appeared to be in the past and although I don’t have any statistics here to show you, there has been a drastic decline in church attendance in Britain since the 1950s. But, are all churchgoers actually Christians? Hmmm. Anyway, there could be a number of reasons for this. One might be that it doesn’t fit our varied lifestyles anymore. Another could be that religion seems old hat, mediaeval, Victorian, something people from the past did because they didn’t have smartphones, laptops, iPads and the Internet and a thousand and one other distractions that many of us today take for granted. Perhaps it might also be that going to church is seen as boring and as conforming, when conformity is not seen as necessary anymore, and that church, in the broadest sense, is also far more about a nice social club for nice people that have it all together and go to church to confirm their niceness, and be extra super duper nice on Sunday! Hurrah! I can tell you that many people from my background, and that in the broadest term being ‘working class’, often feel that church, more often as they imagine it rather than the actual reality, is for well dressed, rather well spoken, affluent people with good jobs, nice houses and expensive cars who on being successful in life, wish to add the icing on the cake of being successful in the spiritual realm, too. But at any rate, what passed for church when I was a kid seemed to be about people who were a cut above people like me and the people that I come from. In some senses this is often similar to people in politics and in the media and in business and in general circles of influence and power: people who are polished, speak in the right way, say the right things, have good jobs and money and assured futures. In one sense, class has always been an issue in England, and Britain in general, but it seems more and more class divisions again matter to some people, and the economic divisions, which are really at the heart of class divisions, have grown much wider. Those on the right side of the class divides can relax in affluence and good jobs and a media and political system that largely supports them. Those on the wrong side of the class divides, even those of us with decent educations and not from the poorest backgrounds by any means, may struggle to find decent employment and instead find insecure and constantly low paid temporary jobs, little opportunity to buy a house and no way of planning any future. It isn’t even the scarcity of decent jobs that affects people the most, it is the uncertainty, the uncertainty of the present time, and perhaps particularly the uncertainty of their distant futures. I may add, that it is also when poor people who are struggling are expected to endure that poverty and hardship, when they know others are getting richer and living happy and affluent lives, that emotional pain and suffering and resentment begin to surface and fester. Usually in such circumstances, we are told endlessly that there isn’t money to pay fair wages and yet seeing wealthy people get wealthier merely shows this to be a lie. This is not a political or social rant, by the way, I merely wish to make a point. The media then either paints a hard luck story to this reality or more perniciously they start to attack those struggling with unemployment or in low paid jobs with either ‘they are feckless and workshy’ angle, or the ‘it’s hard but it’s the same everywhere’ angle. Whatever the case, unfairness and injustice and politically biased decisions are either justified or at least rationalised, rationalised to those who benefit from them anyway. In this mix we also have organised religion, which certainly in England’s case seems far more about being the ‘spiritual’ arm of the establishment than actually preaching the Gospel. So we return again to my view, and I know not just mine, that some organised Christianity in Britain, and maybe I can only really speak of England, doesn’t seem to be aimed at people who are struggling, not aimed at people who are more and more marginalised, not aimed at people who are homeless, not aimed at people basically who are seen as lesser in some way in the eyes of respectable society. In all honesty, does this not seem a travesty of the Gospel? It is true we are all in need of the Saviour, rich and poor, influential and marginalised alike, and ironically enough, it may be that the most lost, those who are desperately in need of salvation, are those who in worldly terms at least are wealthy, powerful, successful and secure in their assured futures. Assured till they die, that is. In this way, we are all actually outcasts and all in need of the Saviour, whoever we are. But the salient point is that organised Christianity in the UK, and also the US, seems aimed at affluent people with good jobs and secure futures, and that going to church is just confirming their material success topped off by spiritual success. But, as cosy as this is, and perhaps as understandable as it might be, does this truly represent real faith, the faith that Christ died on a cross for? Am I the only one who has uncomfortable questions and doubts about much of what passes for organised Christianity? Well, actually, no. 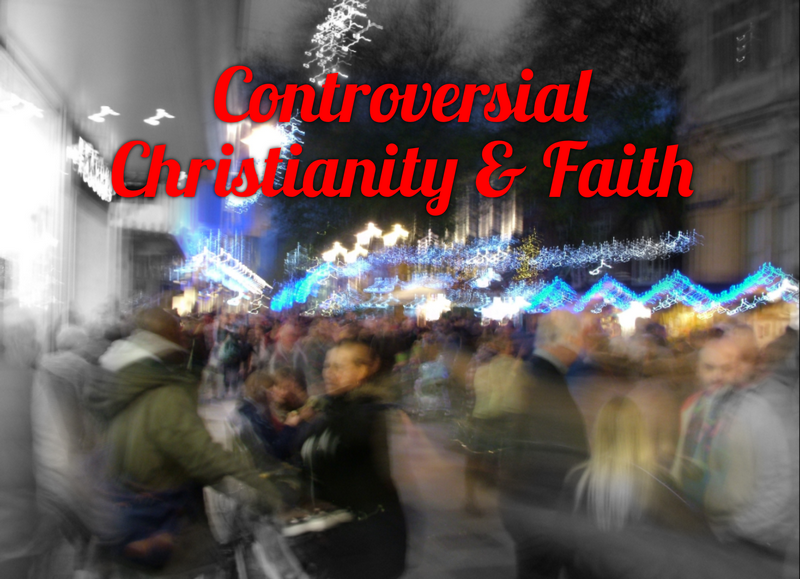 I’ve talked to quite a few Christians about church and organised Christianity and even in casual conversations people have misgivings about traditional Christianity and traditional Christian churches. At the most extreme, and in a pretty in depth conversation with a very mature Christian there was a mention that the organised church as it appears as its worst is ‘the Whore of Babylon’. Whether that is true, or not, is not for me to say or guess at. I even know someone who was a pastor in a church and found the hierarchy and the status and the whole shebang so to speak completely limiting and obviously somehow false and who now holds a house group where they come together to worship Jesus and have fellowship just as they might in a more formal church without the formality and traditions attached to faith, worship and fellowship. At worst, organised Christianity and traditional churches seem too nice, or even too formal and aloof, too ‘pat’, a kind of social club for those who’ve made it, or are respectable, and not much more. Even if the vicars or reverends or priests preach sermons from scripture or based on scripture, they can become platitudes if people only listen pleasantly and do not act or truly meditate on that scripture and learn the lessons from them. Mere pew fillers, mere Sunday morning one-day-a-week Christians are not going to make it anymore. God wants our obedience, our dedication to Him and our willingness to step out in faith, and way out of our comfort zone to begin to live the life He has always planned for us. But, and there is always a but, thank God (?! ), God can and does work through organised religion in spite of its many imperfections, and there are Christians in all walks of life, in and out of the organised denominations who serve the Lord first and foremost, and in actual fact God has to work through the imperfection of Christian organisations of every kind because he to work through the imperfections of Christians of every kind, because all humans, Christian or not, are imperfect! Hey, Tim. Great post. I haven't been in much of a reading mood recently to be honest but I ended up editing an old blog post of mine today over on my redlikecrimson.wordpress.com page. I decided to check up on your blog and see if you posted a second post, I was glad to see that you did. What you shared about Christianity in England is simlilar to what happens here. I think it's a global issue because it's even worse in America. America seems to be making room for every religion to have "rights". Eventually, not surprisingly, only Christianity seems to be the one with it's adherents rights infringed upon. The Lord will soon return to set all things right, this is something to hope for and to be glad in. Great post. God bless you Tim. Thanks Sateigdra. I always appreciate your comments.